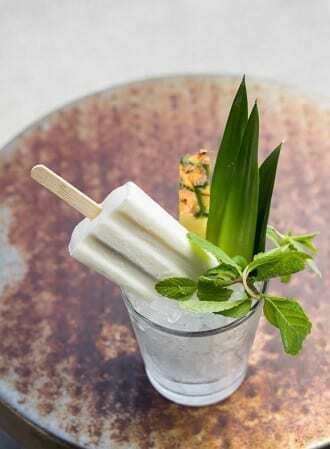 Kick back and cool off with these boozy pops packed with a tropical trifecta of flavors—pineapple, coconut and rum. Blend all ingredients together. Strain. Freeze in popsicle mold. Makes approximately 8 popsicles, depending on the size of the molds.